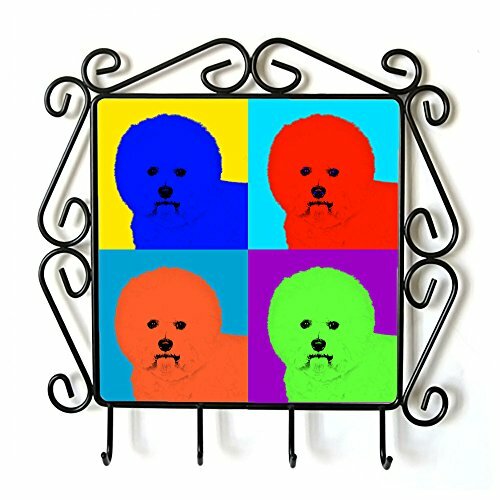 Collection of metal hangers with images of pedigree dogs. Prints made with the sublimation method on a ceramic plate. This elegant hanger is a perfect house decoration. A unique collection with pedigree dogs you will not find anywhere else. Andy Warhol style. Dimension: 23 x 23 cm (image: 15 x 15 cm). Collection of wall hangers for coats etc. Image made on a ceramic plate - very solid. Andy Warhol style combined with animals. Measurements given in a description below. See other auctions to find more amazing products! View More In Clothes Hangers. If you have any questions about this product by Art Dog Ltd., contact us by completing and submitting the form below. If you are looking for a specif part number, please include it with your message.